While Freaks and Geeks was cancelled after only one season, it has gone onto amass a healthy cult following, with younger audiences discovering it every year as it continues to stream on Netflix. Vacation co-director John Francis Daley hopes that works to his advantage as he plans a mini Freaks and Geeks reunion for his upcoming comedy reboot. John Francis Daley co-wrote and will co-direct Vacation with his partner Jonathan M. Goldstein. Talking to Vulture three weeks into the shoot, Francis Daley also confirms that he has a small cameo appearance that will reunite him with former Freaks and Geeks co-stars Samm Levine and Martin Starr. "I don't think I can even give away what my role is. I don't know if anyone even knows this yet, but Samm Levine, and it's looking like Martin Starr, will also be in the film. I don't know if they've been confirmed yet in the cast, but it's looking really good. I just wanted a chance to get the three geeks back together, in the same project." Before he became a sought-after writer on projects such as The Incredible Burt Wonderstone, Cloudy with a Chance of Meatballs 2 and Horrible Bosses, John Francis Daley played awkward high school freshman Sam Weir in Freaks and Geeks. While his upcoming role in Vacation is being kept a secert, it's not likely he'll be reprising his role as Weir, but that's not entirely out of the realm of possibilities. The actor-turned-writer/director describes his Vacation reboot as a hard R update of the original 1983 comedy classic. "It is its own movie in the sense that the times have changed. And it's certainly more R-rated than the first one was, but it's got a lot of allusions to the first, and some of the comedic sensibility is similar. And we didn't want to remake the movie. This is strictly a reboot/sequel. Ed Helms plays Rusty, Christina Applegate is his wife, and they have two sons now." 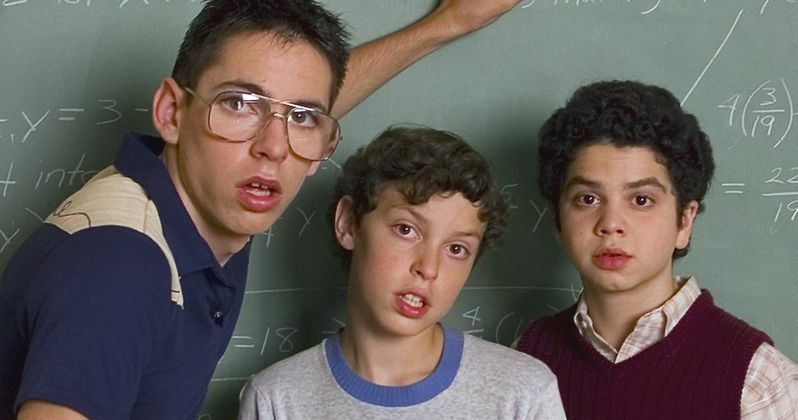 Does a possible Freaks and Geeks reunion get you a little more excited for the upcoming Vacation reboot?